Memoization is a way to optimize code by storing the return values of functions called with a specific set of arguments. Memoization is often used in combination with functional programming. Memoization is a specific type of caching. 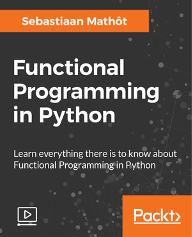 Memoization is only valid for functions that are referentially transparent, that is, functions that always return the same result for the same set of arguments, and that do not affect the state of the program. Memoization is done with the memoize decorator that is part of datamatrix.functional. Let's take a time-consuming function that determines the highest prime number below a certain value, and measure the performance improvement that memoization gives us when we call the function twice with same argument. If you pass persistent=True to the memoize decorator, the cache will be written to disk, in a subfolder .memoize of the current working directory. The filename will correspond to the memoization key, which by default is derived from the function name and the arguments. To re-execute a memoized function, you can either specify ~[function_name] as a command-line argument, or pass memoclear=True to the memoized function (not to the decorator).